TU Dance Artistic Directors Toni Pierce-Sands and Uri Sands are seeking dancers for the 2018 – 19 season. Interested dancers should email a headshot and resume to gemma.isaacson@tudance.org (if unable to attend audition, please also include a video link). It will be necessary to provide hard copies of a headshot and resume on the day of the audition. The audition will consist of a modern warm-up, ballet center and repertory. TU Dance and Contempo Physical Dance are thrilled to welcome Brazilian dancer, choreographer, and teacher Rosangela Silvestre to Minnesota for a special master class. Rosangela is the creator of the Silvestre Dance Technique, which uniquely combines Brazilian Orixa dance movement, North American modern dance techniques such as Horton and Graham, and other symbolic elements. She is also renowned for her classes on the Symbology of the Orixas, which focus on the “connections between the rhythms and the traditional movement, archetype, and story of the Orixa dances interpreted as an art form.” This class will feature live percussion. Rosangela Silvestre is a native of Salvador, Bahia, Brazil, where she graduated with a Bachelor’s Degree in Dance and conducted post-graduate work specializing in choreography, achieving her degree from the Federal University of Bahia (UFBA). She has researched dance and music in Brazil, India, Egypt, Senegal and Cuba as part of her ever-evolving and eclectic palette of movement. For the last 24 years, Rosangela has directed The Silvestre Technique training program in Salvador, Brazil. Rosangela has choreographed numerous dance pieces for companies based in Brazil – Balé Folclórico da Bahia and Odunde – as well as Cleo Parker Robinson Dance Company, Ballet Hispanico Repertory Company, American Academy of Ballet, Roots of Brazil, Dance Brazil, Viver Brasil, Muntu Dance Theater, and the Kendra Kimbrough Dance Company. Her dance investigation and constant development created an opportunity to connect with the eclectic American musician Steve Coleman, with whom she traveled to diverse countries which have African roots in their music and dance. With Steve Coleman, Rosangela developed an idea to have the body as an instrument that provides the movement-form of any sound that can be captured – thereby discovering and creating dance at any moment. Rosangela is currently the choreographer of Viver Brasil Dance Company Directed by Linda Yudin and Luiz Badaró. Watch the Silvestre Technique video here. Join Thern Anderson & Mary Easter in a workshop designed for adults Ages 55+ that combines dance and writing. Movement will be explored in concert with writing exercises to create a history or explore some aspect of your life, be it real or imagined. Students will expand their range of motion through practicing set choreography and creating movement phrases, gaining knowledge of how the human body moves with the understanding that each body holds its own unique history. Students will hone their observation and listening skills to support fellow artists. 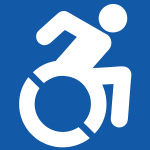 *Chairs will be available for support and wheelchairs are encouraged to participate! Limited spaces available. This workshop is free. This advanced level dance master class taught by Leslie Parker with live music is a rigorous physical exploration of the intersections between thought and movement, the real and the representational, the past and the present, freestyle and improvisation, flow and disruption. In this class, the exploration of presence as multiple embodied states that generate empathetic choices in making dances and dance performance is informed by the African Diaspora in both a historical and contemporary moment. This class emphasizes athleticism, grounded movement and polyrhythmic phrases that include floorwork with moments for risk-taking, to reflect, and to respond through improvisation. The objective is to push physical boundaries while focusing on breath, gravity, rhythm and musicality. We will challenge norms that inhabits the body, space, promote greater awareness in impulses, and apply intersectionality to “unpack” our internal and external input so that a new kind of expression may emerge. This masterclass is provided by Brownbody in partnership with TU Dance.